With the events that unfolded in AMC’s The Walking Dead Season 8, here is a wonderful video giving Carl Grimes the proper farewell his character and actor Chandler Riggs deserve. All The Walking Dead fans thought he was going to “beat the world,” but it did not happen that way. Being an original core character and after sending off Glenn played by Steven Yeun, we can expect many more original cast members to leave at the end of this season of The Walking Dead. Rumors tell that Maggie played by Lauren Cohan may be in her final episodes too. 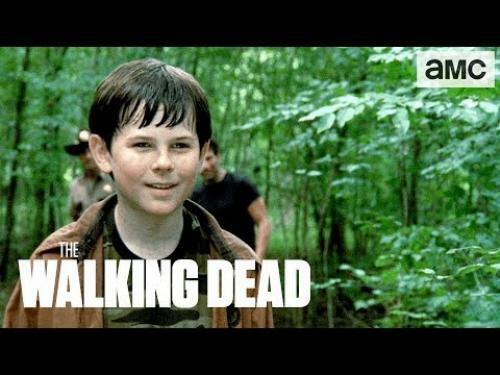 Thanks to AMC for creating and posting this video. Official Synopsis: Sheriff Deputy Rick Grimes gets shot and falls into a coma. When awoken he finds himself in a Zombie Apocalypse. Not knowing what to do he sets out to find his family, after he's done that he gets connected to a group to become the leader. He takes charge and tries to help this group of people survive, find a place to live, and get them food. This show is all about survival, the risks, and the things you'll have to do to survive.